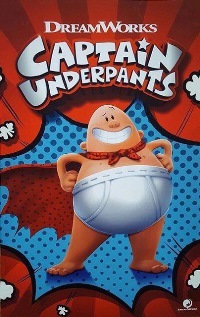 Families affected by autism or other special needs can view a sensory friendly screening of Captain Underpants: The First Epic Movie on Saturday, June 10th at 10am (local time). Tickets are $4 to $6 depending on the location. To find a theatre near you, here is a list of AMC theatres nationwide participating in this fabulous program (note: to access full list, please scroll to the bottom of the page). Editor’s note: Although Captain Underpants: The First Epic Movie has been chosen by the AMC and the Autism Society as this month’s Sensory Friendly Film, we do want parents to know that it is rated PG by the Motion Picture Association of America for mild rude humor throughout. As always, please check the IMDB Parents Guide for a more detailed description of this film to determine if it is right for you and your child.